Vodafone has been selected by ESB (Electricity Supply Board), one of Ireland's biggest utility companies, to work on a joint venture that will build a 100% fibre-to-the-premises (FTTP) broadband network in Ireland. Once the scheme is completed by the end of 2018, up to 500,000 homes and businesses spread over 26 counties and 50 towns will be able to access the web at speeds of up to 1Gbps, putting it on par with countries like South Korea and well ahead of the rest of Europe. 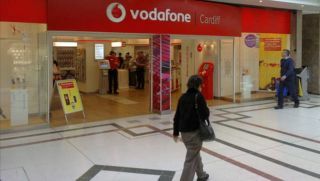 The joint venture, which is to be equally owned by Vodafone and ESB, will invest €450 million. FTTP is seen by Vodafone as a major area of growth with major investments in Portugal, Spain and Italy already reaching an estimated 14 million European households. The scheme, which is similar in intent to BT's Openreach, will be offered to all telecoms operators in Ireland on a wholesale basis. The fibre broadband network will leverage ESB's existing electricity infrastructure. In the UK, Hyperoptic and CityFibre offer limited FTTP services.